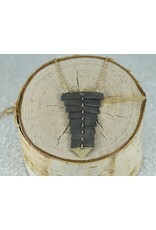 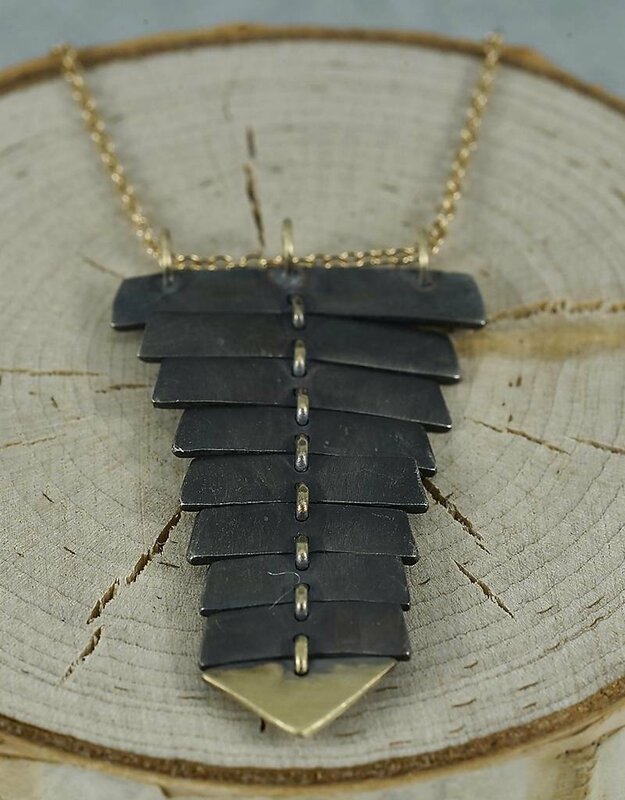 A luxurious and edgy take on our classic fishbone pendant necklace. 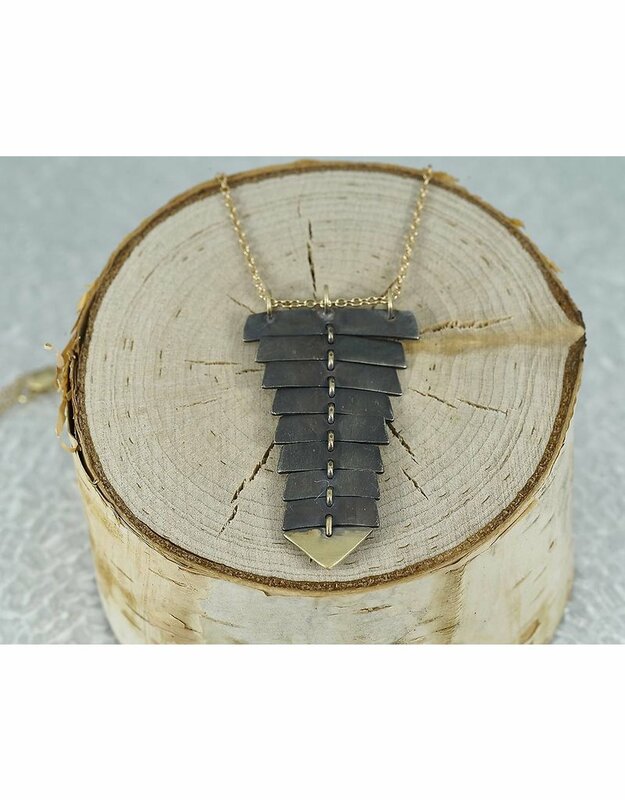 Oxidized silver hand fabricated bone links are connected with a solid 14k gold riveted spine. The end tail piece is also solid 14k gold. 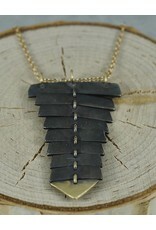 A 16" gold chain adds to the metal color contrast.